NITI Aayog, the premier policy ‘Think Tank’ of the Government of India, providing both directional and policy inputs, recently organised an interactive conference between the private sector and the government on 16th and 17th August 2017. Termed as Champions Of Change, the conference aimed to channelize private sectors dynamism and innovative spirit towards country’s growth and betterment. Under the guidance of The Honourable Prime Minister Sh. 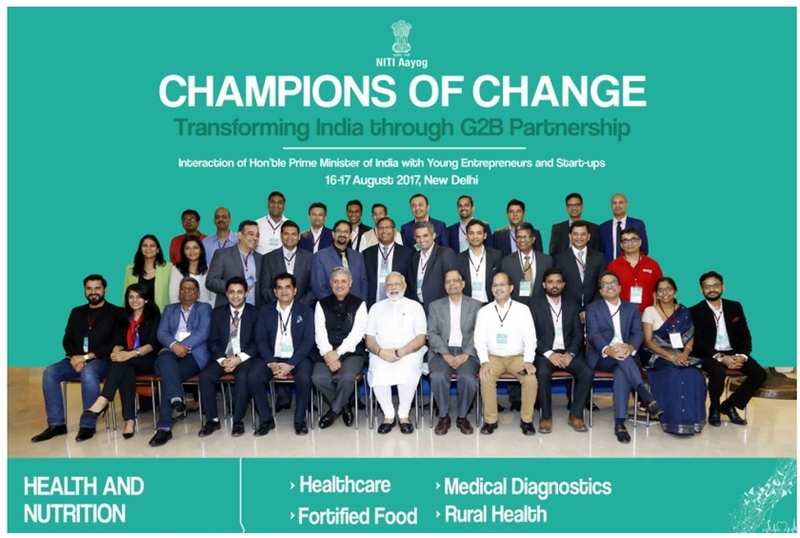 Narender Modi’s for his vision for creating a New India by 2022 Niti Aayog handpicked few highly motivated, dynamic, young and progressive entrepreneurs from across India. To keep the discussions focussed, the participants were divided into six broad categories. The participants in each group were key stakeholders who have made significant contributions in their areas of work. Mr. Vipul Jain, The founder and CEO of Advancells, the key innovator and researcher in the field of Stem Cell Sciences, was invited to be part of the group to advise the government on shaping of the Health Policy of India. The 2 day event entails groups of innovators brain storming ideas on how private businesses can partner the government in shaping the future of healthcare in India while keeping the focus on making sure how the country can be benefitted and progress. We are proud to be invited to be part of this ongoing engagement with the government and are hopeful that this initiative will result in a workable Private Public Partnership model that will shape India’s healthcare future. At Advancells we feel thankful for the trust and responsibility endowed by Niti Aayog and Prime Minister of India. We will keep up the good work!